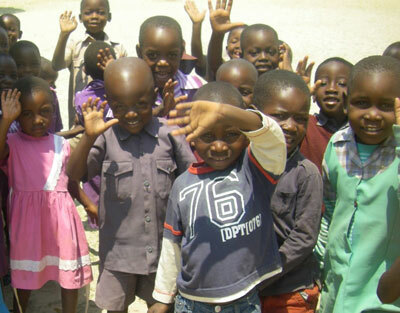 The Zimbabwe Community Development Project grew out of the close musical and personal connections that Kutsinhira members developed with their Zimbabwean teachers and friends. Since 2002, Kutsinhira members have raised funds through concerts, garage sales and direct donations to support community development, health and educational efforts in Zimbabwe. Funds raised have been used in Zimbabwe for school fees, school supplies, water purification during cholera outbreaks, hygiene kits for girls, rural medical assistance, village wells, rebuilding huts and providing emergency food during famine. The program enables members of Kutsinhira to tangibly improve the quality of life for some of Zimbabwe’s most vulnerable people. Founded by Jaiaen Beck (Kutsinhira member) and Cosmas Magaya (Zimbabwean mbira teacher) in 1999, Nhimbe works in six villages, serving over 1,350 people. Donations have allowed Ancient Ways, the nonprofit organization that sponsors Nhimbe, to rebuild huts and toilets, ensure children attend school, and work with villagers to secure clean water and health care, which includes conventional, traditional, and alternative approaches. For more information see the Nhimbe for Progress website. Tariro is a grassroots nonprofit organization working in Zimbabwe to prevent the spread of HIV/AIDS by educating young women and girls. 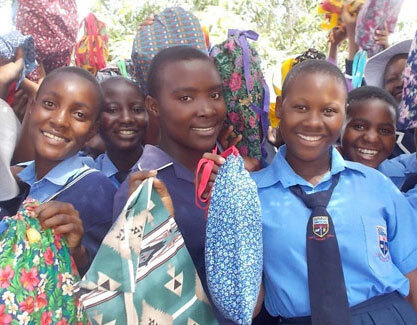 Founded by Jennifer Kyker (Kutsinhira member and teacher) in 2003, Tariro currently funds the education of about 50 girls, providing a comprehensive range of services enabling them to complete a secondary school education. For more information see the Tariro website. Patience Munjeri was Kutsinhira’s sponsored artist in 2011, 2013, 2015 and 2017. 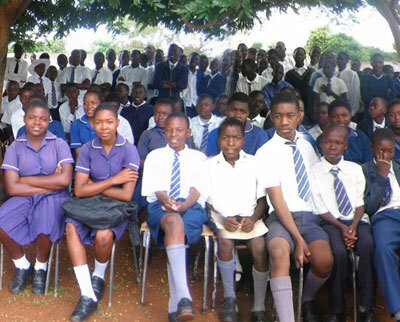 Patience taught high school in Chinhoyi, Zimbabwe. Many of the 2,000 students in her school were impacted by extreme poverty and disease, and over 25% were orphans. Through Patience’s advocacy, the required school supplies and uniforms were purchased for these children, allowing them to remain in school. Donations through Kutsinhira and other U.S. communities also funded water purification during a cholera outbreak. Humwe’s primary goal is to preserve the traditional music and culture of the people of Zimbabwe. 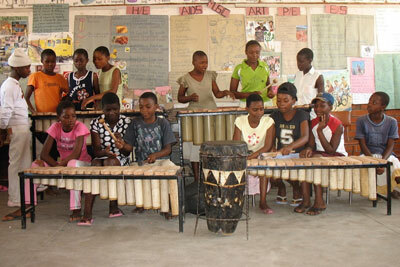 Humwe provides free mbira and marimba classes to students that range in age from 9 years to 16 years. There is an additional emphasis on having girls participate in the program as girls have historically been excluded from playing mbira. 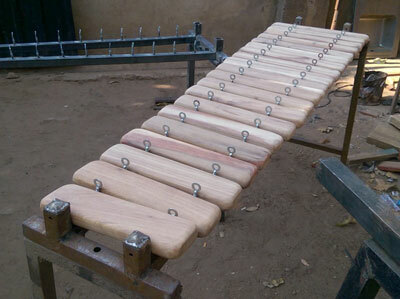 Funds from the ZCDP helped purchase a set of marimbas for the program.